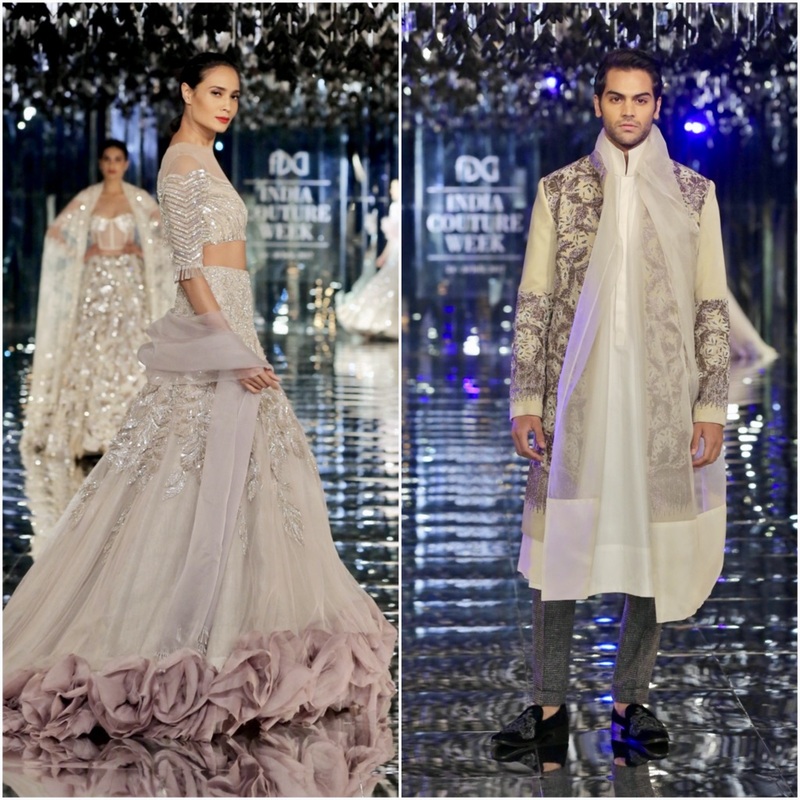 Designer Manish Malhotra closed FDCI India Couture Week 2017 with his collection ‘Sensual Affair’ focusing on not the big wedding day but a collection meant for cocktail, sangeet & reception. His collection depicted a sensual affair for the modern woman of substance who loves to dress and embrace herself in the luxurious fabric fearlessly jumping the boundaries of feminism and boldness expressing her inner charm, perseverance, calmness, emotions and yes her warmth and love for clothes. 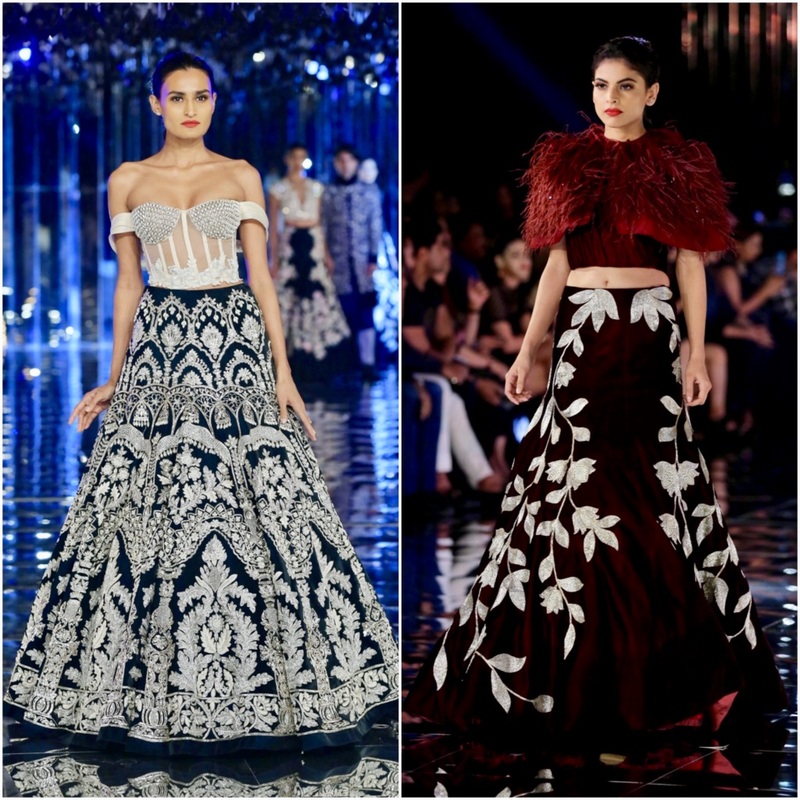 She has the curves and Manish knows exactly how to accentuate and define the curves with the three-dimensional embellishments, layered motifs, elaborate juxtaposition of texture with the free flowing silhouttes with the infinite skirt trails adding infinite beauty and depth to the character and nature of the garment like in a dream angelic escapade world. 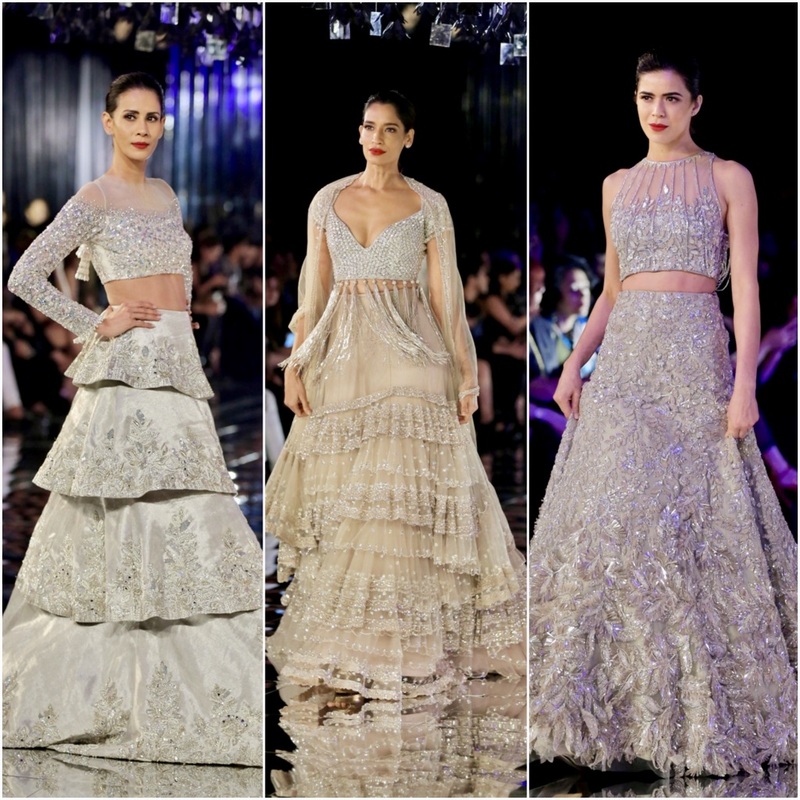 The collection weaved together subtle nuances of modern artistry done with billowing skirts, sultry silhouttes, fitted corsets and shimmerring details of cascades. The set for the show had been put together by The Wedding Design Company consisting of black flowers & mirrored flooring. 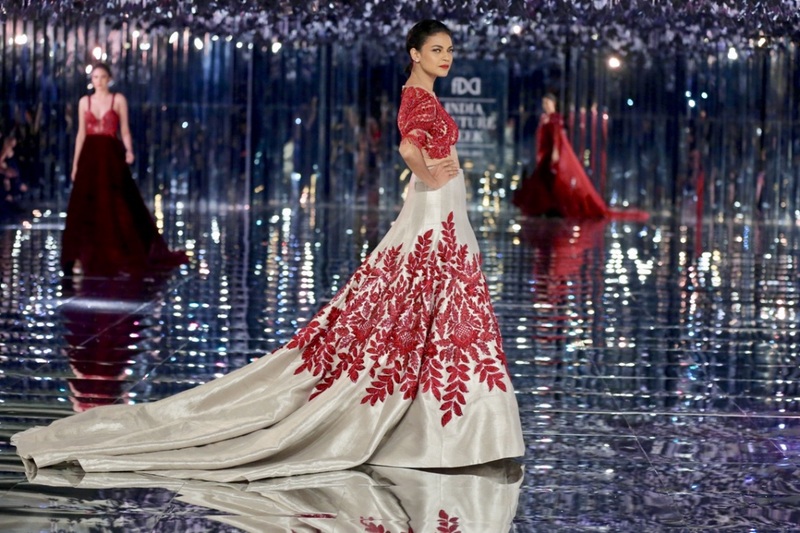 The entire collection of 85 pieces of art & glamour was a different collection altogether beyond the typical use of reds & golds, not to forget the display of organzas, silk tulles, micro velvet, satin velvet, two-town silks using antique metallic threadwork, pearls and luminous crystals on soft shades of ivory, grey, vintage rose, teal and burgundy. Alia Bhatt & Ranveer Singh closed the show for Manish Malhotra. Alia looked stunning in the sequined pearl finished top and 3D floral detailing multi–layered ruched net skirt in olive and Ranveer who stole people’s heart (and who walked the ramp giving flying kisses to everyone) wore a midnight blue zardozi and thread-work embroidered sherwani. Mr. Sunil Sethi himself said ”This is Sone pe suhaga” hugging Ranveer; the coming together of two lucky mascots with Manish’s 27 years of journey. It was a fabulous finale to talk about!